Thank you for your long-term support and trust for the company! Because of the upgrade and transformation requirements of the company's current Honghualing Industrial Zone, manufacturing enterprises will not be allowed to stay. 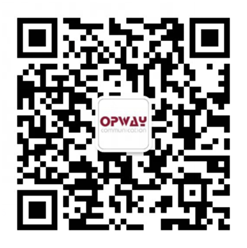 After the company's research decision, Opway will move to 3F, Building 5, Section2,Baiwangxin Hi-Tech Industrial Park, No. 1002 Songbai Road, Nanshan District, Shenzhen. The relocation time is scheduled to be June 8-9, 2018. Since June 8th, 2018, the communication address of Opway will be changed to 3F, Building 5, ,Section 2,Baiwangxin Hi-Tech Industrial Park, No. 1002 Songbai Road, Nanshan District, Shenzhen. The telephone number and contact information will keep same as before. If bring you the inconvenience, please understand! Opway will continue to provide high-quality products and quality services to support our customers.